An uncertain political terrain in Madagascar continues to impact civic space; however, some civil society organisations believe space for civic activism is improving. Madagascar: "Almost if not all environmentalists are under threat"
As alerted by Front Line Defenders, environmental human rights defender Raleva was arbitrarily detained on 27th September in Vohilava village, and transferred 4 days later to a prison in Mananjary. Raleva, a member of the human rights organisation - Justice et Paix and Observatoire Independant des Droits Economiques, Sociaux et Culturels à Madagascar (OIDESCM), had been active in advocating for communities affected by the gold mining by a Chinese company Mananjary district. Raleva was arrested during a public meeting, organised by local authorities to announce the start of gold mining activities in Marokarima community, as he demanded that local authorities show the permit thereof, as the Head of District ordered earlier in 2017 the end of all gold mining activities in Mananjary district. He is accused of using the title of 'Head of District' during the public meeting. As reported by Front Line Defenders, environmental human rights defender Raleva was arbitrarily detained on 27th September 2017 in Vohilava village and transferred days later, on 3rd October, to a prison in Mananjary. Raleva, a member of the human rights organisation - Justice et Paix and Observatoire Independant des Droits Economiques Sociaux et Culturels in Madagascar - had been active in advocating for communities affected by a Chinese company mining gold in the Mananjary district. Raleva was arrested during a public meeting, organised by local authorities to announce the start of gold mining activities in Marokarima community, as he demanded that local authorities show the permit authorising such activities, as earlier in 2017 the Head of District had ordered an end to all gold mining activities in Mananjary district. Raleva is accused of using the title 'Head of District' during the public meeting. On 26th September 2017, radio journalist Fernand Cello and director of Radio Jupiter, based in Ilakaka, was condemned to a suspended prison sentence of two years and a suspended fine of 720,000 ariarys (approximately 200 EUR) on the charges of stealing a cheque and forgery after four and a half months of pre-trial detention. Cello, known for his investigative journalism into sensitive issues, was detained on 6th May and charged based on accusations from the owner of a local power company Cello had criticised on Radio Jupiter, the only independent radio station in Ihorombe province. Cello is still facing charges of defamation under the 2016 Code of Communication and “malicious allegations” and “verbal death threats” under the Criminal Code. The trial is scheduled for 20th October. Madagascar ranks 57th on the 2017 World Press Freedom Index, dropping one place compared with 2016. The Index cites the 2016 Code of Communication - allowing media offenses to be tried under the Criminal Code - and the dangers for journalists face covering topics such as exploitation of natural resources and environmental issues as reasons for the drop in ranking. In the run-up of the celebration of the country's 57th year of independence on 26th June 2017, the authorities issued an order banning any assembly of a political character on public roads in the month of June 2017. SeFaFi - Observatoire de la Voie Publique issued a statement on 29th July that at least on two occasions peaceful assemblies were denied authorisation in July 2017 under the pretext of potential risk of "disturbing public order". To celebrate its 15th anniversary, the political party Tiako i Madagasikara (TIM), which is affiliated with ex-president Marc Ravalomanana, requested authorisation to organise a gathering on 8th July 2017 at the municipal stadium in the capital Antananarivo. Although initially granted by the prefect of Antananarivo, the request was denied on 3rd July on the grounds of creating a potential risk to public order. TIM challenged the decision and the Administrative Tribunal annulled the decision prohibiting the meeting on 7th July. The police appealed the court decision and placed a ban on all assemblies in the capital from 7th to 9th July. About 100 opposition members ignored the ban, gathering on 8th July in front of the stadium, facing off with police who fired tear gas at the protesters. The authorities also prohibited a large protest of the Mouvement pour la Liberté d’Expression (Movement for the Freedom of Expression) planned on 7th July to denounce the Code of Communication, which has been in place for a year and is considered to be restrictive on the press in Madagascar. Civil society organisations in Madagascar are very active and have increased in number and influence during and after the recent period of political transition. Civil society organisations in Madagascar are very active and have increased in number and influence during and after the recent period of political transition. Many community or peasant associations operate at a grassroots level; however, their influence is limited outside their local area. Human rights defenders working on environmental rights are subject to judicial prosecution and arrest, and they face harassment and intimidation from state and non-state actors. In one incident in recent years, two activists were arrested for denouncing illegal rosewood trafficking. The constitution guarantees the freedom of assembly. Although public demonstrations are relatively commonplace, a permit must be obtained before people are allowed to gather in public places. The constitution guarantees the freedom of assembly. Although public demonstrations are relatively commonplace, a permit must be obtained before people are allowed to gather in public places. Opposition political parties and some CSOs that wish to engage in protests are often denied a permit. Although the number of cases in which police use force against protestors has declined in recent years, such incidents sometimes still occur. In one such event in 2016, police used excessive force to disperse a student protest in the capital, Antananarivo. The constitution establishes the freedom to express and hold opinions; however, it also imposes restrictions designed aimed at ‘safeguarding the public order, the national dignity, and the security of the state.’ Defamation is a criminal offense, and a cybercrime law extends the offence to online publications. Elections in 2013 marked an improvement in conditions for journalists, and violence against them has declined in recent years. 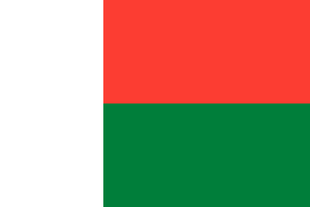 Madagascar does not have access to information legislation and there are no documented cases of government restrictions over the internet; however, most of the population still does not have online access.